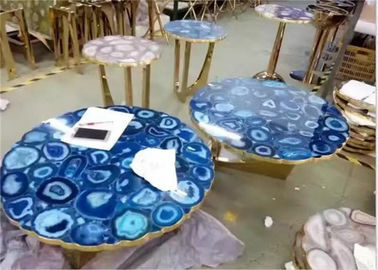 Exquisite Blue Agate Stone Coffee Table Top is quite luxury living room agate coffee table top. Special design with each agate inlaid together, It looks more glorious. 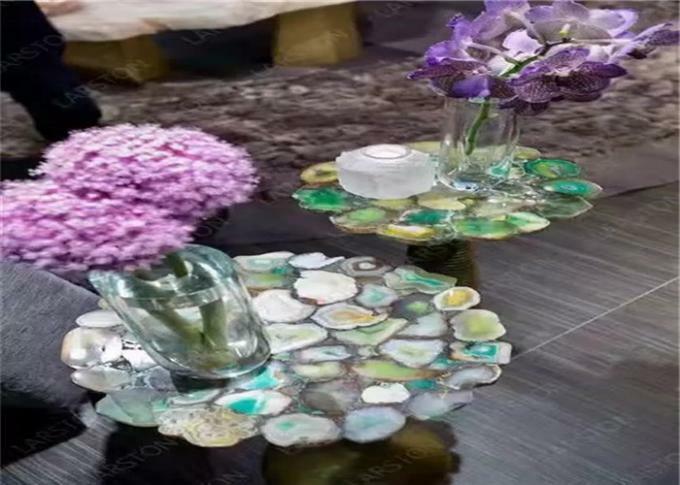 They can be round, rectangel, square , oval marble table top. You can select your favorite table top from our list. It can be also used as restaurant table, tea table , coffee table, dinning table,work table... . Our advantages is wide color range, different shapes and styles, wholesale price, factory fabricated. 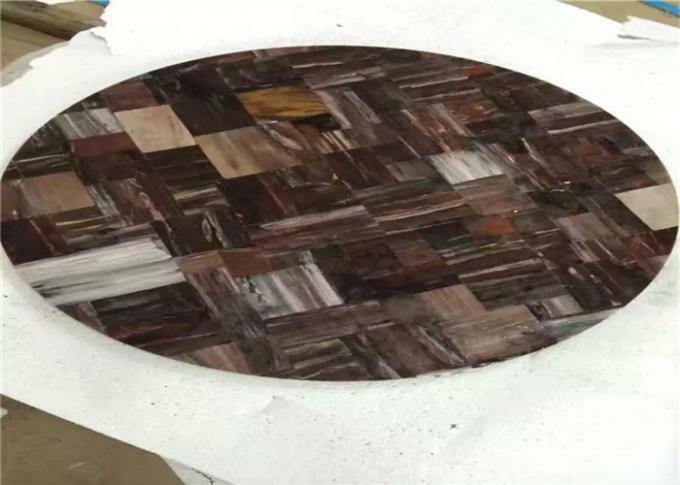 Outstanding workmanship and quality material, our marble table tops are widely used in market. Please feel free to contact us if you need marble table tops. Welcome to visit us!